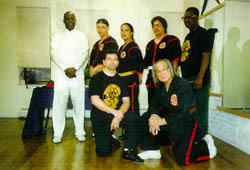 The Village Martial Arts Institute, located in New York City's Lower East Side, offers instruction in Phillipine Stickfighting and Tai Chi Ch'uan. Classes are designed for students of all ages and abilities, with a focus on the development of the mind, body and spirit. Follow the links at the left to find information on our classes, our instructors, the history of the school, and more.